Super Hot!!! 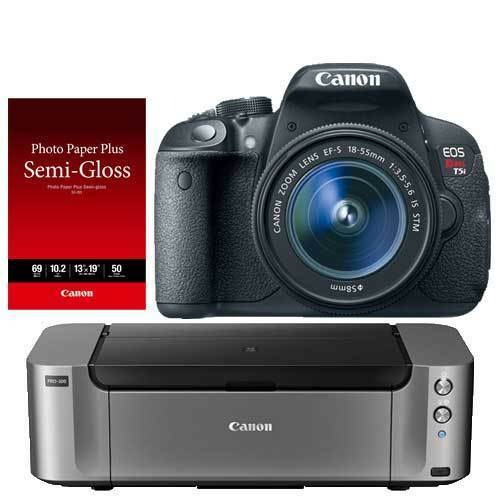 Buydig (98.8% Positive feedback) has a great deal on Canon EOS Rebel T5i w/18-55mm Lens, 32GB, Pixmar Pro-100 Printer and more for only $399.00 after $350 Mail in Rebate. While Adorama has a deal of Canon EOS Rebel T6i DSLR Camera with EF-S 18-55mm f/3.5-5.6 IS STM Lens + Special Promotional Bundle for only $649 after $350 Mail in Rebate. Canon Photo Paper Plus Semi-Gloss SG201 13″ x 19″ (50 Pc. This is the lowest price and the regular price for Canon EOS T5i w/ EF-S 18-55mm F3.5-5.6 IS STM lens is $599 (List price $799) at Amazon US. You can also check price at eBay US. This entry was posted in Canon Camera, Hot deals and tagged Canon camera deals, Canon EOS Rebel T5i deals/ cheapest price on March 6, 2016 by admin.